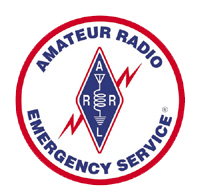 As a member of WARC you may want to consider becoming involved in ARES, the Amateur Radio Emergency Service. The ARES organization in Connecticut is always looking for new members who want to contribute to their community and utilize their skills as amateur radio operators. The best place to start learning about ARES is to visit the CTARES website where you can learn what the role of ARES is to the community, apply for membership, view training opportunities, find local ARES networks and links. This page will be updated periodically with additional information!